Is most of your time spent creating and waiting for reports to get a deeper level of insight? Would you like to see all your different reports in one place? With Qlik for IFS we can bring all your reports in to one place. 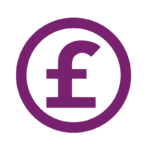 We have partnered with the leading IFS specialist in the UK, Cooper Software, to bring you the complete package. IFS is a leader in developing and delivering enterprise software. With industry-proven software for demanding industries and their enterprise suite it allows businesses to respond quickly to market changes and achieve better business performance, with a competitive advantage. It can be configured for enterprise resource planning (ERP), enterprise asset management (EAM) and their Enterprise Service Management (ESM) delivers field service management, reverse logistics and depot repair. 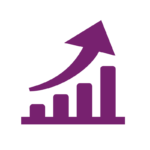 IFS brings customers in targeted sectors closer to their business, helps them become more agile and enables them to create change for their business, in short creating intelligent business. We have a range of ready built applications to be deployed on to your environment to help you bring your data in to a single source and transform your business to help create intelligent business. We also have a range of other apps available within sales, finance, supply chain and operations reporting. From one ready built app to a complete hosted service, whatever your needs, please get in touch to find out more.